Today we have a special book giveaway for our readers. We are giving away three copies of DAY'S END the third book in the Girl from the Stars science fiction series by Cheree Alsop! When Liora Day and the Kratos crew destroyed half of the Omne Occasus, it turned not only her Damaclan father, but the entire Coalition, against them. The crew of the SS Kratos band together to destroy the rest of the galaxy imploder, but in doing so, they confront a new danger nobody foresaw. Liora is prepared to risk it all to save her race, but when the man she loves puts his own life on the line for hers, everything changes. Can Liora confront death to rescue the human who has given her something worth living for? 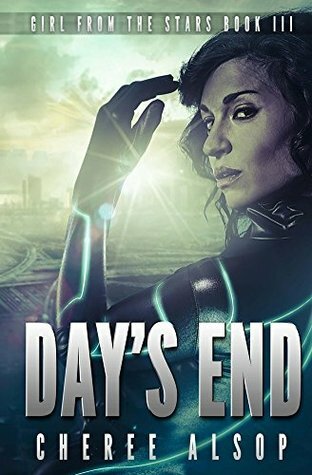 Win one of THREE ebook copies of DAY'S END by Cheree Alsop. To enter, please leave a comment on this post and include your email address so we may contact you if you win. This giveaway is INTERNATIONAL. Giveaway ends April 20, 2016 midnight EST. nothing better than a good sci-fy read! Sounds like an intriguing world. I plan on reading it. I need to read more Sci-Fi. I love Sci-Fi with strong female leads!! !